We’re delighted to know you are interested in a partnership with Flea Market Insiders. Let us give you the scoop. Flea Market Insiders is a top-rated lifestyle, travel and home decor website. We feature unique content focusing on the world’s best flea markets, shopping tips, and the latest news from the vintage & design industry. Our goal is to share our insider’s tips and make our passion for flea markets and vintage design contagious. Check out our media kit to find our more about our bundles and prices, or contact us directly, using the form below, to get a tailored offer. Among the top 5 most influential online sources for flea market shoppers and vintage enthusiasts worldwide. Updated several times a week with inspiring content. Over 78,000 page views * monthly (54,000 on fleamapket.com). More than 47,000 readers per month (over 38,000 unique *). A trusted source, regularly featured in major publications such as the Wall Street Journal, The New York Times, CNN Travel, Refinery29, HGTV Magazine, Antique Collecting, Homes & Antiques, easyJet Traveller and other influential sites from around the world. With more than half a million readers, Flea Market Insiders reaches a worldwide audience. More information and statistics can be found at Quantcast. Flea Market Insiders only works with business partners that are a good fit for our brand and worthwhile to our readership. We will never trade the quality of our content, neither the trust of our readership, for advertising. Online display advertising can be purchased as part of a wider package or for stand-alone campaigns. 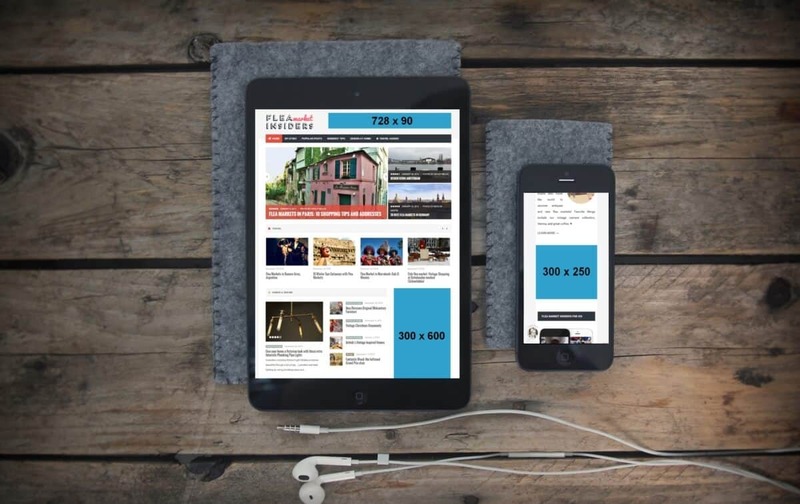 Various ad sizes are available, to make sure your adverts look great on any screen (desktop, tablet, smartphone). 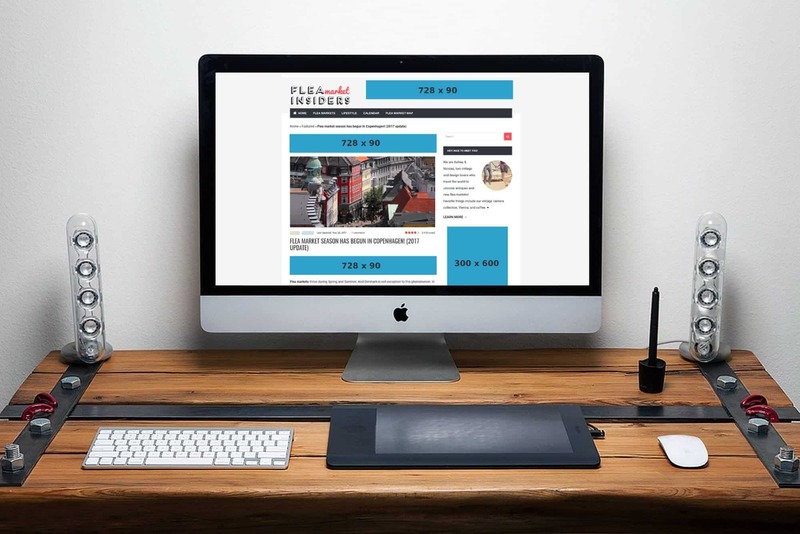 Our media kit offers a detailed overview of the available ad spaces. Request our rate card to learn more about our pricing, using the contact form below. 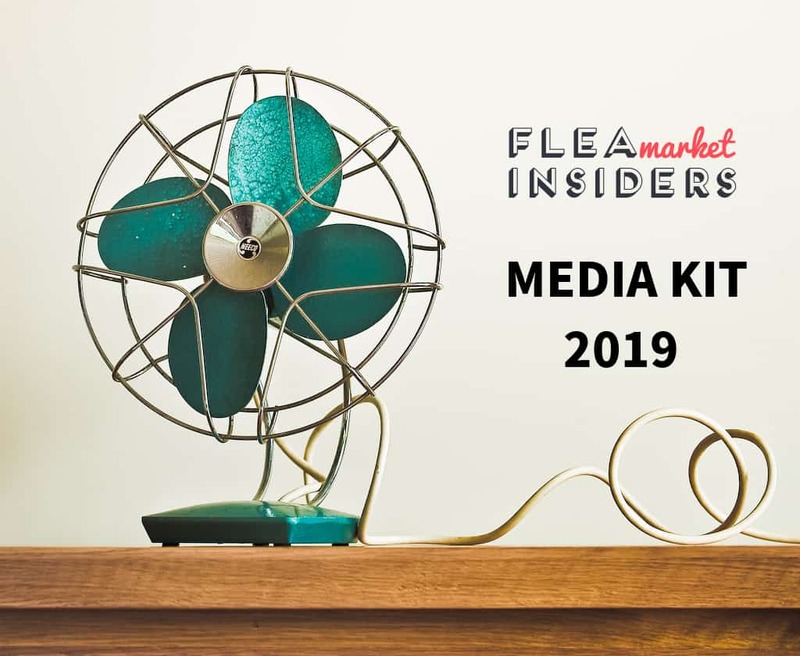 If you are interested in partnering with Flea Market Insiders, or if you have any further questions, please get in touch with us. Quiz: What is the capital of France?